The technology advances constantly in different areas, with respect to the digital visualization the last technology that marvelous to the world were the glasses of virtual reality. 7D technology is now coming. This is not drawn from a fictional film, as in some countries such as Dubal and Japan is already available to the public. Let us know a little about these advances concerning three-dimensional technologies that could astound anyone. When talking about 3D refers to a video screen that reproduces scenes in a three-dimensional way and that way it manages to display images in third dimension. Humans have a binocular visual system, which means that we have two sensors that are the eyes. Thanks to the horizontal separation, we received two images of the same scene but with two points of view. These screens that work in third dimension must have the ability to transmit information to each eye, in order to achieve a deep effect in the images. This effect is possible to be perceived in two ways, which could be through the use of special glasses for 3D technology or without any accessory. The 3D technology must have 3 aspects that should be easily located that are: width, height and depth. 3D is only visual, 4D in addition to incorporating 3D technology is based mostly on motion as seats vibrate etc. The 5D is more than anything sensitive, like splashing water and temperature changes. Actually up to the times there is no 6D technology. And when we talk about 7D we refer to the possibility of interacting between men and the virtual. The most amazing thing about this 7D technology is that you do not need a screen so that the viewer can see a 3D image, as this works as a kind of holograms that give people the opportunity to interact with these wonderful graphics in movement. For example there is a virtual zoo in Nippon, in this zoo you can interact with virtual animals as if they were real. But this zoo is not limited to hyperrealistic images but incorporate various effects such as sounds, smells, splash of water, smoke, among other great effects. 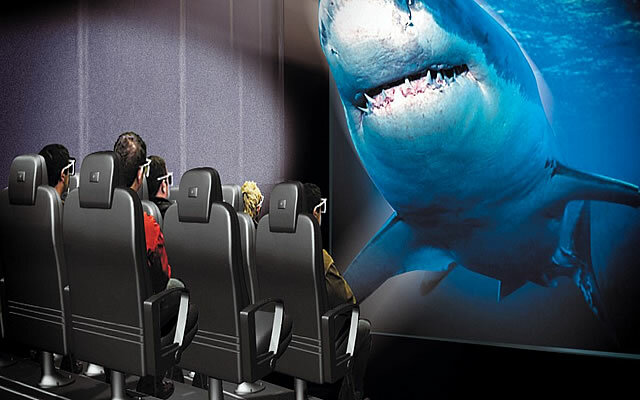 The experts call this a dynamic signal digitized by fields of light, through that you can give incredible forms of holograms, so the viewers will give you the feeling that they are really in front of the animals observing both their movements and their appearance With luxury and details. This technology allows you to interact with very realistic graphics, which allows you to fake a virtual environment in which every detail is carefully measured. More and more the new technology fulfills its duty, to surprise us with incredible things that we would only believe possible in a science fiction film.